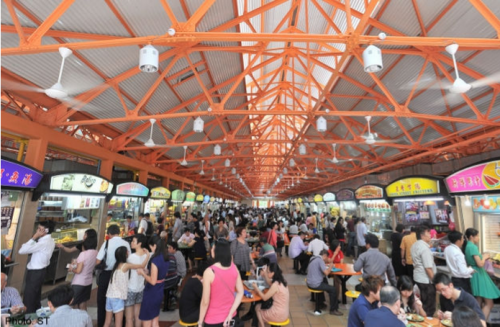 Hawker centres will receive a boost as a social institution from the Government's decision to build 10 new centres by 2027, on top of the 10 that it had pledged earlier to build. The moves attest to the enduring popularity of these eating places, whose chief attractions are their affordability, range of food, quality in many instances, informality, convenient location and reasonable standards of hygiene. However, hawker centres will need help if they are to continue to thrive. Once, itinerant hawkers formed the backbone of the centres. Later, others who joined the trade found these food courts a haven of opportunity. Being able to ply their trade insulated from the elements was not a minor consideration. However, changes in generational attitudes and expectations, a result of Singapore's rising affluence, have made younger cooks see hawking as a poor option, given the hard work and long hours. To cater to their aspirations, one idea that has been mooted is to air-condition some of the new centres. Prices would rise, but it is still worth considering, if done selectively for certain areas where more customers can be drawn. Another suggestion is to allow hawkers to hire foreigners, who cost less, as assistants. While such a practice would go against moves to reduce foreign worker dependence, the reality is that some jobs fulfil a social purpose and flexibility might be needed. A key object is to keep costs low and prices affordable. Another is to motivate young cooks to enter the trade so that traditional and new forms of street food can flourish here. The economics of the business is such that some hawkers do extremely well while others must be content with thin profit margins. To level the playing field, stalls can be held to foreign worker quotas. Hawker centres were created as a pragmatic solution to real problems in Singapore's early years. New schemes must be cooked up from time to time to help keep this endearing local institution going.